Cutting the maximum stake on fixed-odds betting terminals to £2 will virtually "eliminate" these "terrible machines", Chancellor Philip Hammond has said. He told MPs the move should be a "cause for celebration" for campaigners such as ex-sports minister Tracey Crouch who quit over the issue last week. He rejected claims its introduction was being delayed to protect tax revenues. But he said thousands of people could lose their jobs as High Street bookies closed and "time to adjust" was needed. Ms Crouch resigned from her post last week after it was announced the £2 stake would come into force in October 2019, rather than April as she believed it would. Appearing before the Treasury select committee, Mr Hammond said in agreeing to the £2 stake, the government had adopted the "most extreme" version of the options that had been proposed. The move, he claimed, was a victory for campaigners such as Ms Crouch who wanted to "get rid" of the machines from High Streets up and down the country. Asked why, in this case, Ms Crouch had resigned, he replied "you will have to ask her". He said the October deadline for making the change was a "sensible compromise between different interests" given it would lead to "very significant" consequences for the betting industry, in terms of job losses. But the Tory MP who chairs the committee, Nicky Morgan, said an impact assessment had signalled it would be introduced by May 2019 at the latest and the chancellor was picking "an unnecessary fight" with MPs. Currently, people can bet up to £100 every 20 seconds on electronic casino games such as roulette in High Street bookmakers shops. 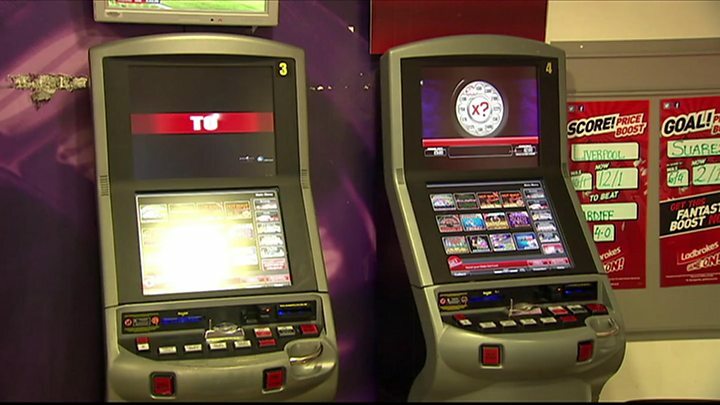 Fixed-odds betting terminals generate £1.8bn in revenue a year for the betting industry and taxes of £400m for the government but anti-gambling campaigners say the machines let players lose money too quickly, leading to addiction and social, mental and financial problems. In the fallout from her resignation, Ms Crouch has suggested Conservative backbencher Philip Davies and other MPs who support the betting industry had been "more persuasive in their arguments" to senior ministers. She was asked on Sunday about a newspaper report suggesting she believed a meeting between Mr Davies and Digital, Culture, Media and Sport Secretary Jeremy Wright was key to the alleged delay. She refused to confirm the details of the report, saying: "All meetings are registered. I'm sure it will all come out anyway." 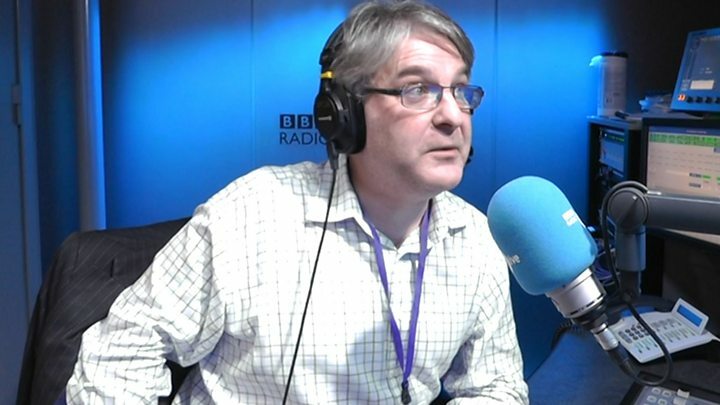 Mr Davies told BBC Radio 5 Live's Stephen Nolan it was wrong to suggest he had influenced the decision and Mr Wright, when they met, told him he was "minded to introduce the reduction in stake in 2019". "I merely pointed out to him that as far as I was concerned, I wasn't wanting him to delay it. I was pointing out to him that the decision had already been taken to implement the decision in 2020." He questioned the rationale behind the £2 stake and suggested the Gambling Commission, the government agency that regulates betting, did not believe it was necessary to address the harm caused by the machines. "I've spoken to the Gambling Commission and I know what their view is. They thought it should be cut to £30. "I am not going to drop anybody in it but I have had discussions with with the Gambling Commission and I know for a fact they do not see any justification or didn't see any at the time for reducing the stake to £2." In its final submission to government on the issue in March, the regulator recommended a maximum stake of £2 for slot games and a figure of £30 or below for non-slot games such as roulette. Mr Davies suggested its wording had been designed to make it easier for the government to move to a £2 figure across the board. "They put "or below" to try and help the government out with the decision it had taken," he added. The Gambling Commission said its advice was based on the "best available evidence". It believed a minimum stake of £30 or less was needed for there to be a "significant effect on the potential for players to lose large amounts of money in a short space of time". Mr Davies is the MP who has received the most free tickets to sporting events from betting firms since the 2017 general election, according to a BBC analysis of the register of members' interests. He was hosted at 13 horse racing events by Ladbrokes Coral, William Hill and Sky Bet, which also offered him free tickets to the 2017 League One play-off between Millwall and Bradford City. The total value of the tickets was £5,759. Of the 16 MPs who accepted hospitality from the betting industry over the period, nine were Labour MPs, six Conservative and one SNP. 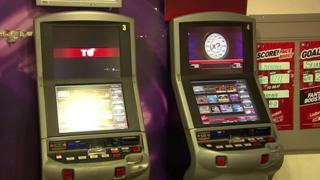 Video What are fixed-odds betting terminals?